Microsoft’s vision of using your Windows 10 phone as a miniature PC is a lofty one—too lofty, in fact, for the current generation of hardware. Microsoft’s Gabriel Aul, who oversees the Windows 10 Insider program at Microsoft, said as much on Friday. Continuum adapts the look and feel of a Windows 10 application to the screen on which it’s displayed. On a Surface Pro 3, for instance, if the device undocks into tablet mode its menus will become less complicated, with larger touch points. If you missed Microsoft’s Build conference, check out our recap of all the news. On phones, Continuum becomes even more interesting. 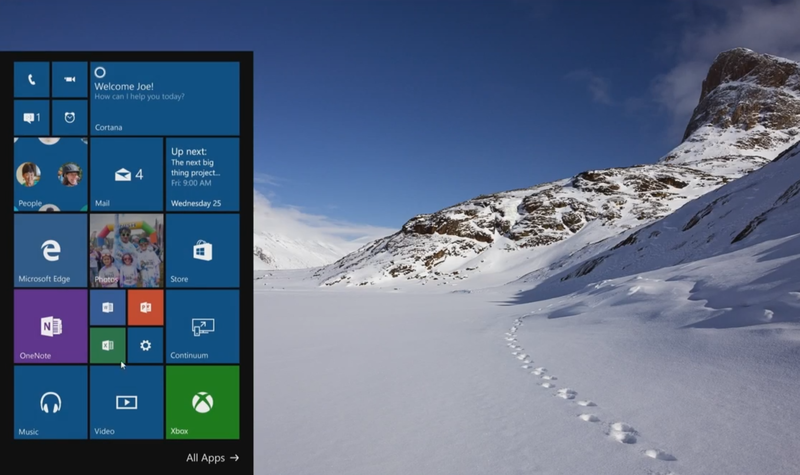 If a Windows 10 phone is connected to a desktop monitor via the mini-HDMI port, then the phone’s universal apps expand to fill the monitor’s space—providing a desktop-like experience from just the phone. Unfortunately, according to Aul, the necessary processing power to do that lies beyond the capabilities of the current generation of Windows phones. Why this matters: Continuum is a big deal for Windows Phone—both a technological advance and a means of escape from its lonely island of misfit apps. Microsoft’s plan to bring more Android and iOS apps to Windows 10 is another encouraging sign for the platform. 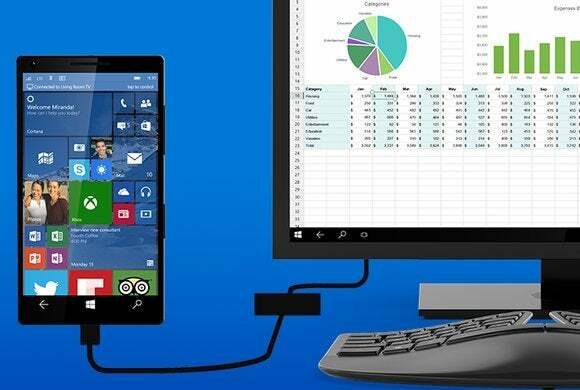 It’s no fun for Windows Phone faithfuls to have to upgrade, but perhaps the right to brag about Continuum’s talents will be worth the expense. Exactly what that new hardware will be remains unclear. Microsoft has settled upon a strategy of launching midrange, cost-effective phones as a means of expanding its market share. As a result, customers have waited quite a while for anything that could be considered a modern flagship—and Microsoft has said that there won’t be a new flagship phone until Windows 10 ships. According to a report from UnleashThePhones, however, Microsoft is reportedly developing two new flagship phones codenamed CityMan and TalkMan. The report says CityMan includes “a 5.7 inch QHD display, a Qualcomm octa-core processor, 3GB RAM” and more, with flagship-class specs including a 20MP camera. The TalkMan phone would be slightly smaller, with a 5.2-inch display. The site estimates that the new phones might use a Snapdragon 810 chip. Aul also tweeted that Microsoft planned to open up the Windows 10 Insider program to non-Lumia phones, potentially including the HTC One M8 Windows phone. He didn’t say whether the non-Lumia phones would receive the Continuum feature.